Kollu also known as horse gram / ulavalu comes with lot of health benefits and I always make sure that I have it in our diet. 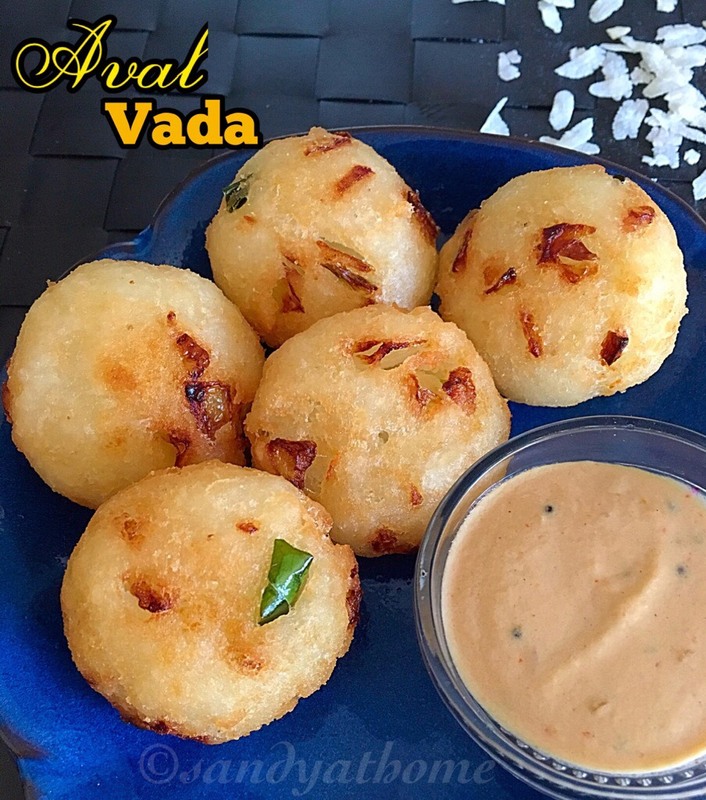 Kollu sundal is a spicy sundal often prepared during navaratri is made by tossing cooked kollu in coconut and freshly ground masala. 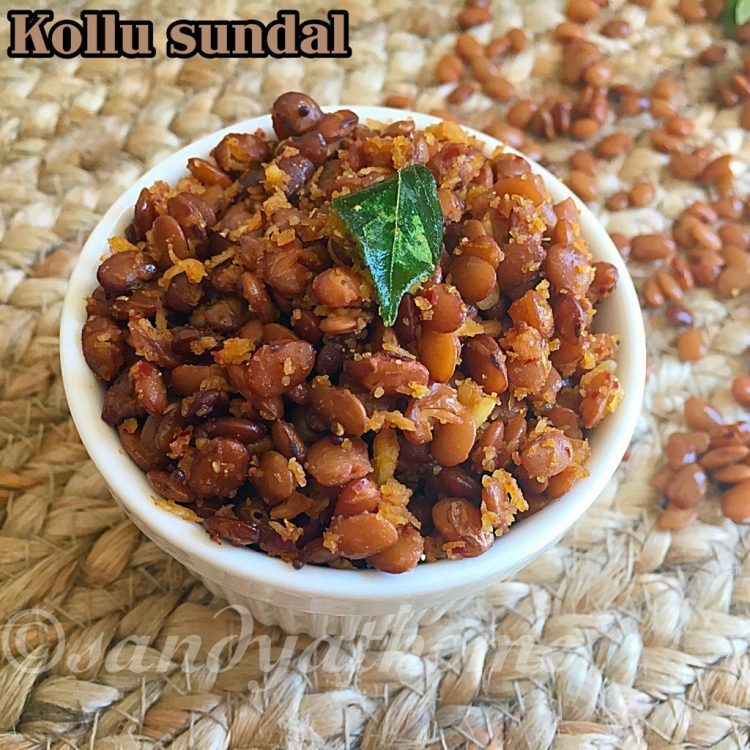 Kollu sundal is very easy to make and at the very same time it is delicious too. 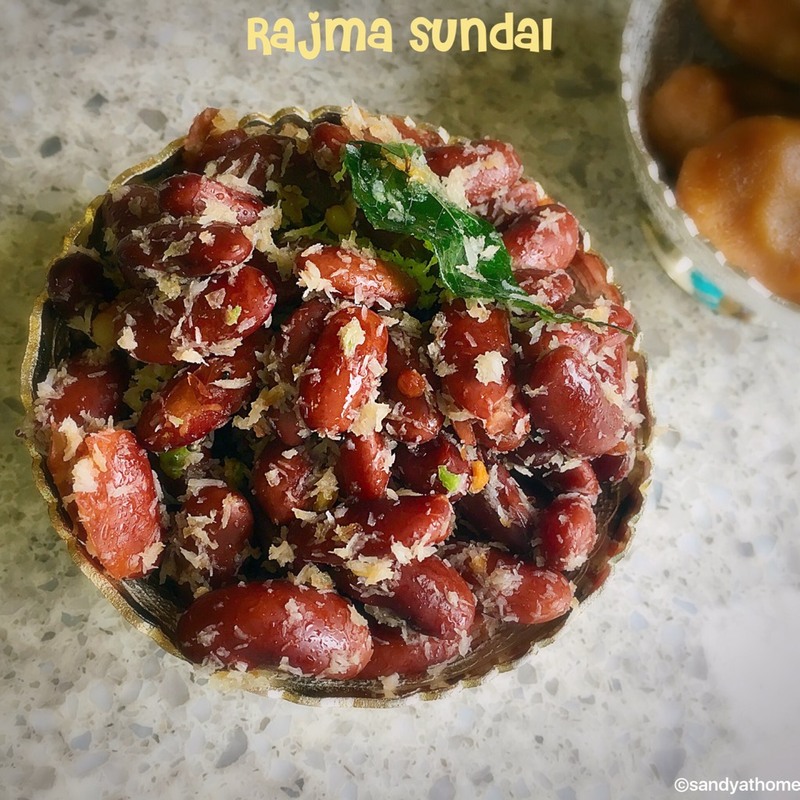 This sundal involves grinding of masala which is the key in making this sundal. So lets get yo the making! Wash and soak horse gram/ kollu in water overnight. Next day pressure cook adding salt and water for 3 whistles. Drain the water from cooked kollu and keep it aside. 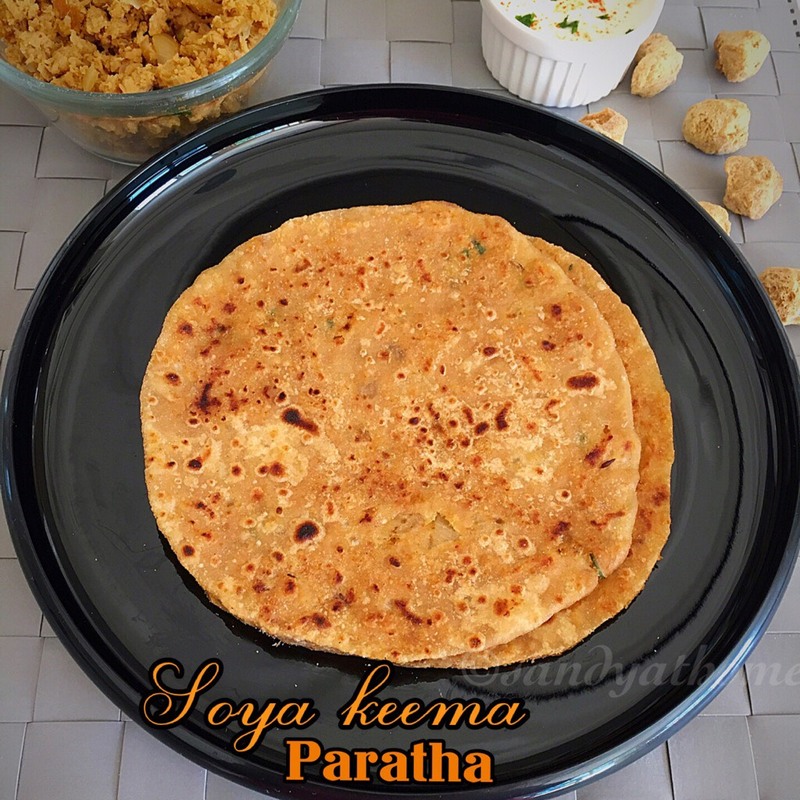 In a pan dry roast channa dal, urad dal, coriander seeds and dried red chili until aromatic and golden brown. Allow it to cool down and grind it into fine powder. 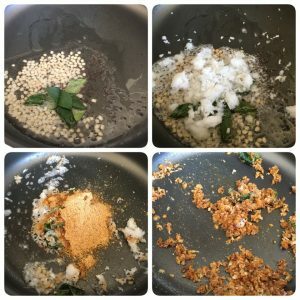 Heat oil in a pan add mustard seeds after it splutters add urad dal after it turns golden brown add curry leaves when it turns crispy and grated coconut and saute for a minute then add ground masala powder and saute for few seconds. Now add cooked kollu in it and mix well. Put off the flame and serve it.